We will hold three quizzing events on Sunday, 17 Feb 2013, at The Institution of Agricultural Technologists, Queen’s Road, Bangalore. Open to all, provided they are above 18. Open to solo contestants from PUC, UG and PG courses. The School Category was won by Pranav Ramamurthy and Hayden D’Souza of St. Joseph’s Boys’ High School while II Place went to Presidency School,Bangalore South and National Hillview Public School took III Place. The College Category was won by Rohan Menzies and Ezra Rynjah of SJC, while II place went to Akshay and Natesh of BITS-PILANI Goa. 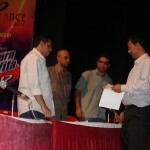 The III Place was claimed by Maitrey Deshpande from MSRIT. The Open Category was won by Ochintya Sharma and Arun Hiregange while Rohan Menzies and Ezra Rynjah from St. Joseph’s finished in II Place. 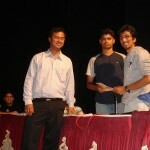 The III Place was won by Jayendra and Sheshadri. 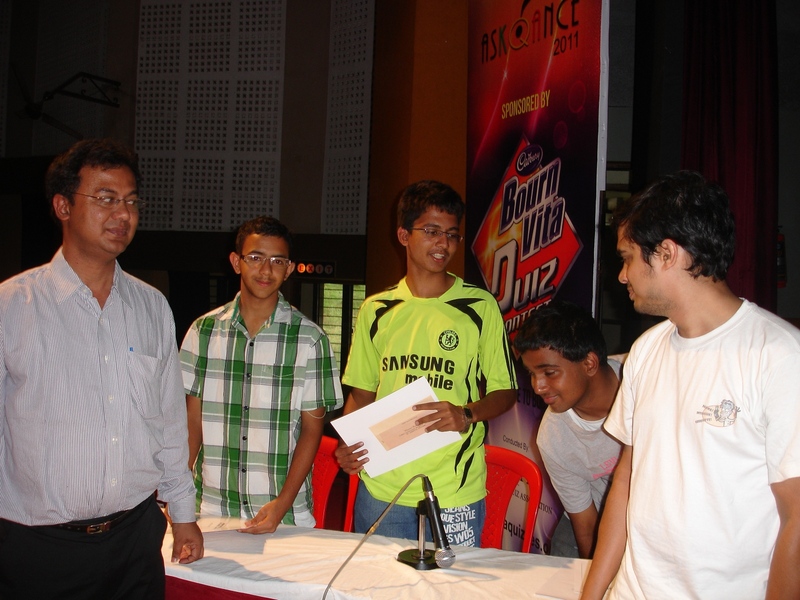 The XIX Vidyasagar Rajan Memorial quiz for colleges was held on 14 October 2012. 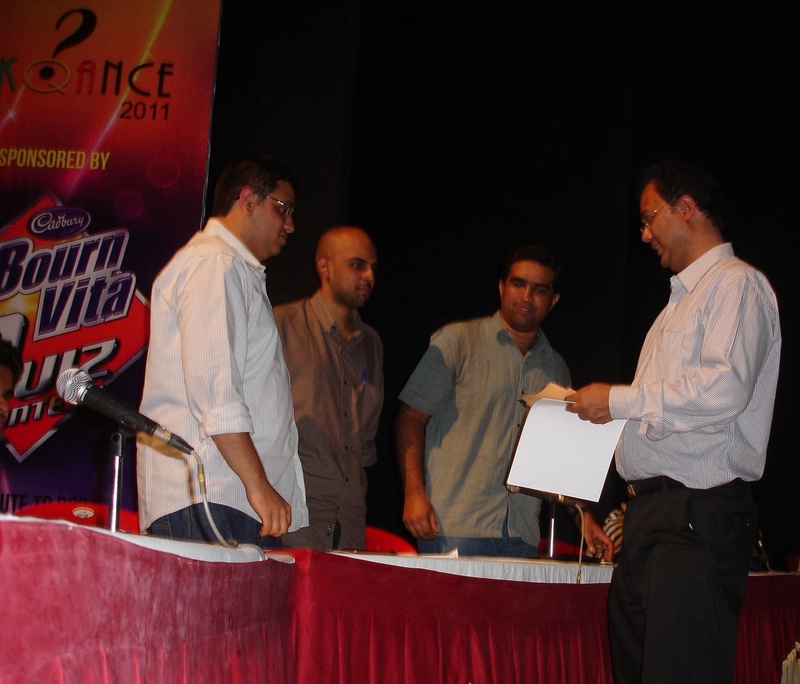 14 teams took part in the prelims, which was set by Dr. Arul Mani, from which 8 teams qualified to the finals. The prelims had 30 questions to be answered in 20 minutes from a printed sheet. The cut-off was 10.5. 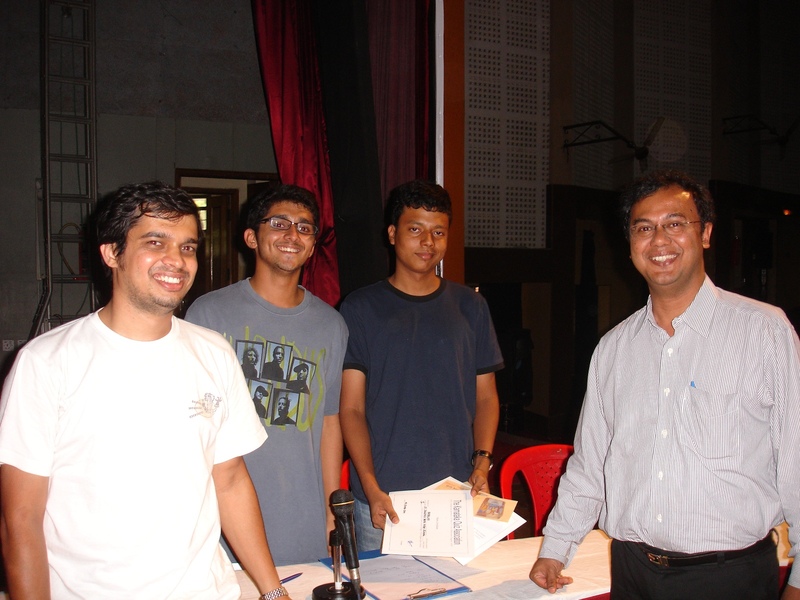 The finals was researched and co-hosted by Venkatesh S and Varun Rajiv. 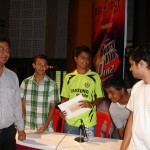 The 2012 edition of KQA’s Solus Rex quiz was conducted yesterday by Thejaswi Udupa in an all-new format! 37 participants took a 30-questions preliminary round, from which the top 15 qualified into three semis (cutoff was 10.5 and the highest 18) grouped in the boustrophedon format. 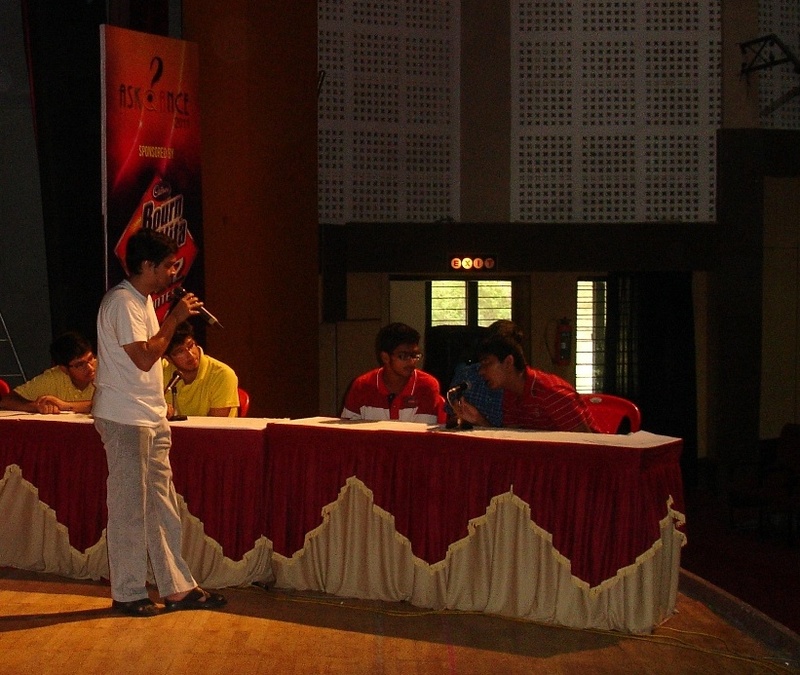 Each semis had 5 participants attempting a written round, a list-it and 20 questions. These 20 questions were also open to the other semi-finalists to “pounce” on. At the end of the three semis, the top 6 finalists (top 2 from each semi-final) were identified and a short finals followed. 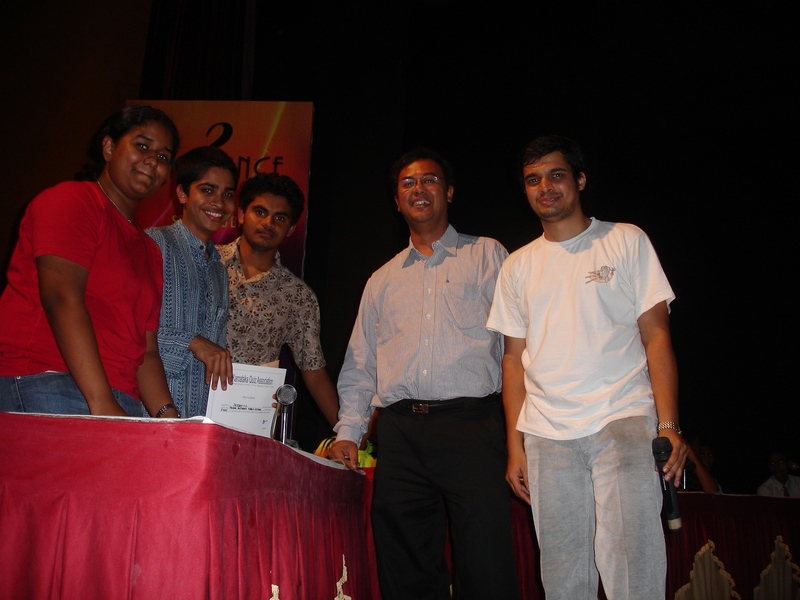 The results of three quizzes held on Saturday, 12 November 2011 at The Institution of Agricultural Technologists, Queen’s Road, Bangalore. 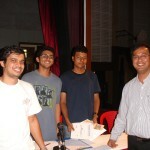 QMs: Sohan Maheshwar, Sai Ganesh and Rajagopal P. S.
We will hold three quizzes on Saturday, 12 November 2011 at The Institution of Agricultural Technologists, Queen’s Road, Bangalore. Unlimited entries, but no more than two from an institution in the finals. Who or what is an AJM? What the duck is an Open House quiz? How can you have an Open Quiz without prelims? Is this some woolly, hippie, liberal nonsense? 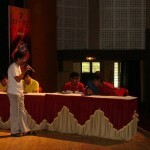 QMs: Thejaswi Udupa, Mitesh Agarwal, Arul Mani, Varun Shenoy and Abhishek Upadhya. Entry Fee: Rs. 50/- per head, pay on the spot. 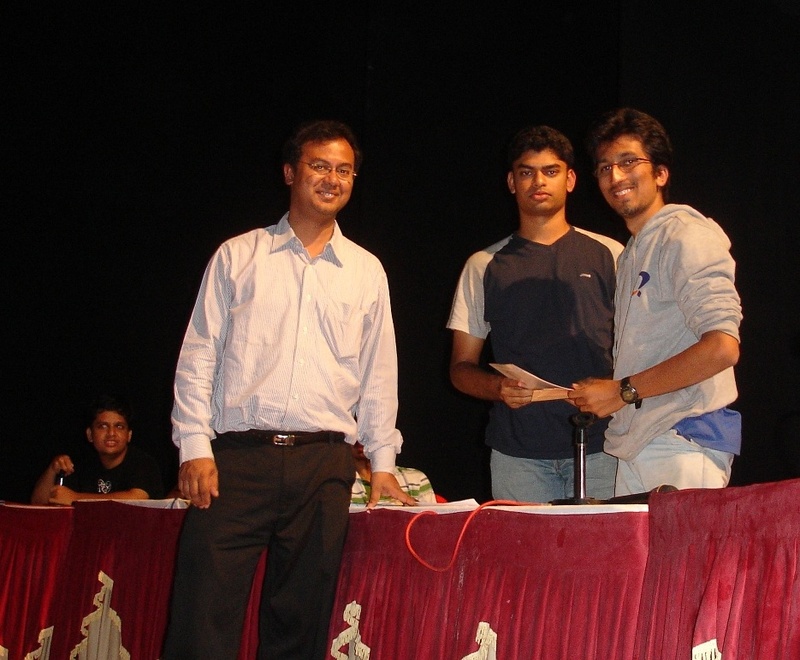 The results of three quizzing events held on Saturday 29 October 2011 at the Institute of Agricultural Technologists, Queen’s Road, Bangalore. We will hold three quizzing events on Saturday 29 October 2011 at the Institute of Agricultural Technologists, Queen’s Road, Bangalore. Colleges can send any number of teams–only the best two will qualify for the finals. QMs: Santosh Smarmynathan, Rahul Kottalgi, Rajath Krishna and Nishanth. Prizes for top three teams. We will hold another set of KQA events in the second week of November 2011. 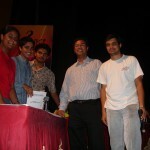 Mega-Whats 2011, the National Open Quizzing Championships, will be held on Sunday, 11 December 2011. We have limited seating at the Bangalore venue. Please register early to ensure seating–send team name, names of all four members and one contact number in a mail with the subject header Mega-Whats 2011-Bangalore to kqaquizzes@gmail.com.